Grand Theft Auto 5, Rockstar’s newest blockbuster game, sold ridiculously well. It was one of the most expensive games to ever make, and yet it brought in a profit day one, and made over $1 billion in three days. 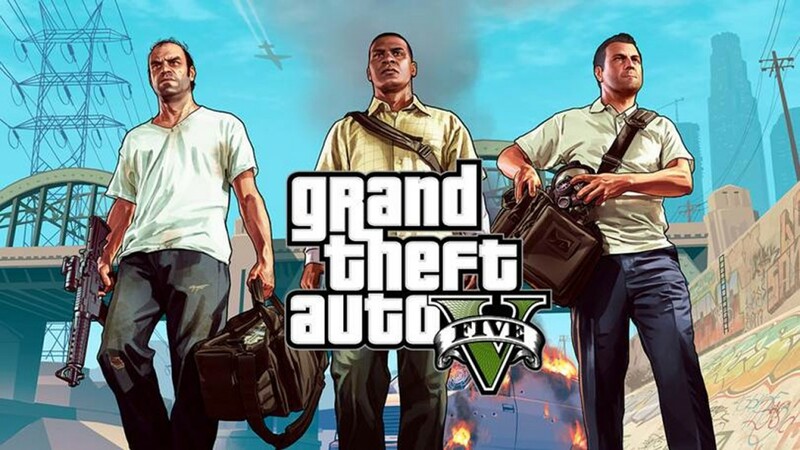 GTA V sold over 52 million copies. Now, even if, let’s say half, of those people frequently log in to GTA Online, that is still a massive player base, and there is bound to be a few bad apples in the mix. By bad apples, I’m referring to cheaters, hackers and “griefers”, of course. Those players who cannot adhere to the rules of GTA Online, and are determined to ruin the game for everyone. There is a reason why Rockstar has disabled cheats in GTA Online, that reason being balance. However, this is the internet we are speaking about, so despite Rockstar’s best efforts, there are a few people out there hell bent on ruining it for everyone, and employ all sorts of hacks, GTA V cheats, exploits, glitches, and online mods to gain the unfair advantage over their fellow players (and by doing so, they invalidate anything they acquire or achieve, so I honestly do not see the point, but to each his own, I guess). Rockstar has been getting progressively more and more annoyed with these cheaters, and this shows in their increasingly aggressive anti-cheating and anti-modding protocols. Rockstar has implemented several new invisible stats that track various variables which might be an indication of cheating. If someone acquires duplicates of the same car, or suddenly gets a massive amount of cash out of nowhere, they investigate, and boot the player to the cheater lobby at the slightest whiff of foul play. Rockstar has been getting creative with their methods for punishing cheaters and modders in GTA Online. In one recent, specific example, the devised a rather hilarious method to keep players in line. When the current-gen (PS4 and Xbox One) versions of GTA V launched, players who owned the game on last-gen consoles and upgraded were rewarded with a unique vehicle called the Duke O’Death, which is a nearly indestructible armored muscle car that reaches frightening speeds. Now, considering how ridiculously over-powered the Duke is, it was a singleplayer only vehicle, however some players found a way to get the car in GTA Online, and also store it in their online garages to access whenever they want. Now, naturally the method to do this circulated on the web, so it was hardly a secret to Rockstar. Were this any other game dev, they would have simply fixed the exploit and be done with the affair, but this is Rockstar we’re dealing with here. In patch 1.1, Rockstar snuck in a little something for the online users of the Duke. Following the patch, the exploit still worked, however if anyone ever entered the car while in GTA Online, it would explode. Boom, crispy cheater. Rockstar’s approach to cheaters is also commendable, and started a trend in gaming. Instead of outright banning cheaters, they restrict them to cheater-only lobbies, so that they are forced to deal with the same unfair bulldust as honorable players do when cheaters run amok on regular servers. Rockstar has also asked the fine citizens of Los Santos to report any instance of cheating they encounter while playing GTA Online.